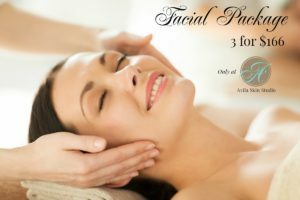 Let Avila Skin Studio keep your skin healthy all summer with our facial package! Purchase 3 of our Signature Facials for $166 (a $41 savings) and schedule them from now until Labor Day 2016! Our Signature Facial includes 60 minutes of pampering while you receive a wonderful luxurious facial that improves skin clarity, elasticity, texture and overall health. This facial is customized to each client to encourage detoxification and help to speed cell metabolism. It is great for all skin types and customized per client depending on your skin’s needs at the time of the facial. Are you ready to get your skin in shape this summer? Take advantage of our summer special and save! Click below to schedule your appointment online or call Amy at (469) 283-8185.